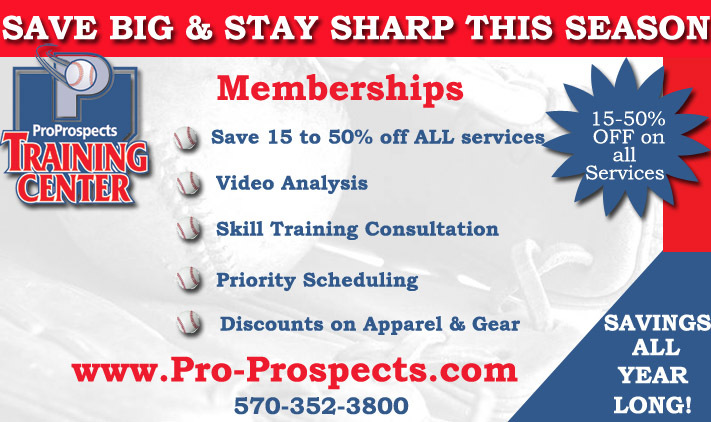 BREAKING NEWS: Pro Prospects To Add Outdoor Fields in 2019!!! 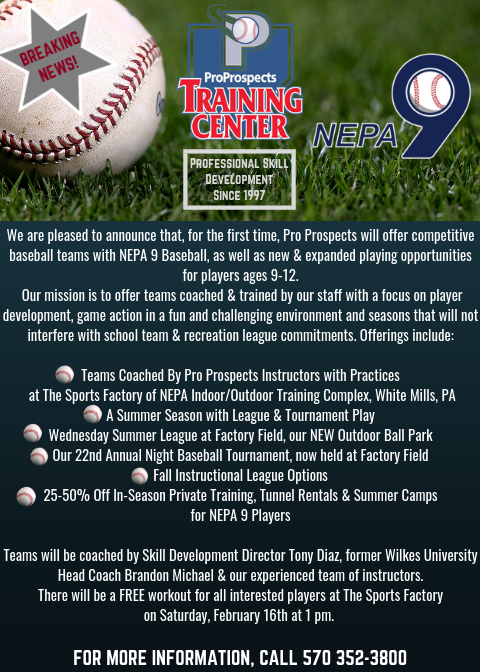 Plans are in place for the addition of a new ball field at The Sports Factory of NEPA. 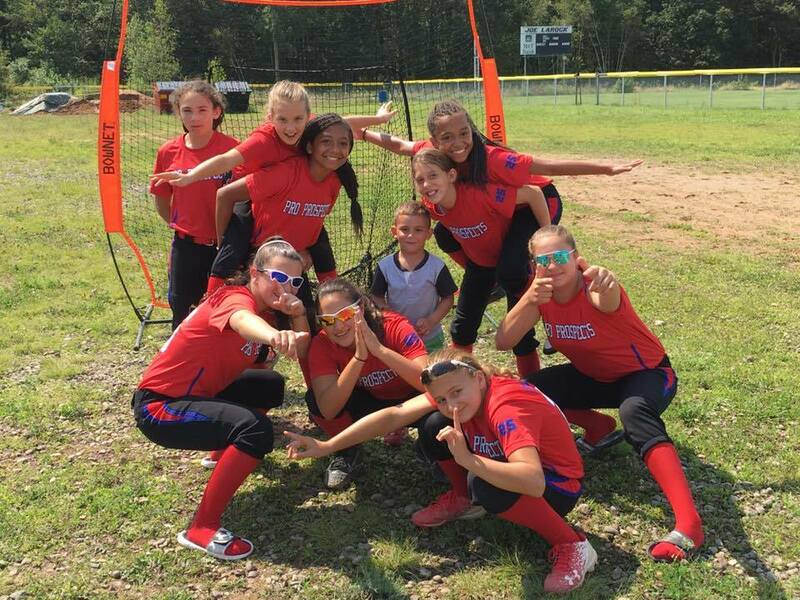 Factory Field, part of a 16-acre parcel adjacent to our multi-sport complex, will be designed to host youth baseball and softball and will be home to Pro Prospects Training Center’s Summer and Fall Baseball Leagues, Summer Camps and Phantoms Travel Softball. 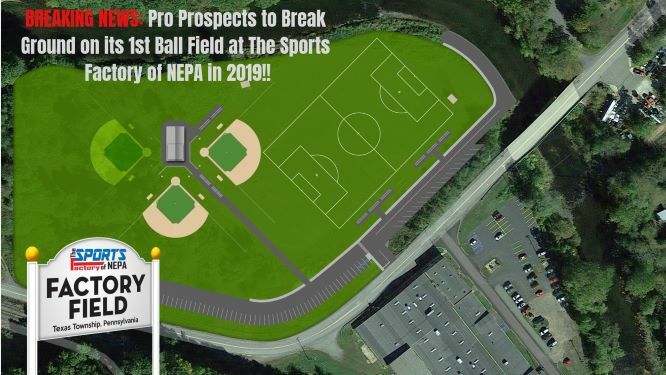 The outdoor soccer field, currently home to Next Level Soccer of NEPA Travel Club, will also undergo improvements that include expansion of their current outdoor training field to a regulation-sized field and/or two U12 fields. 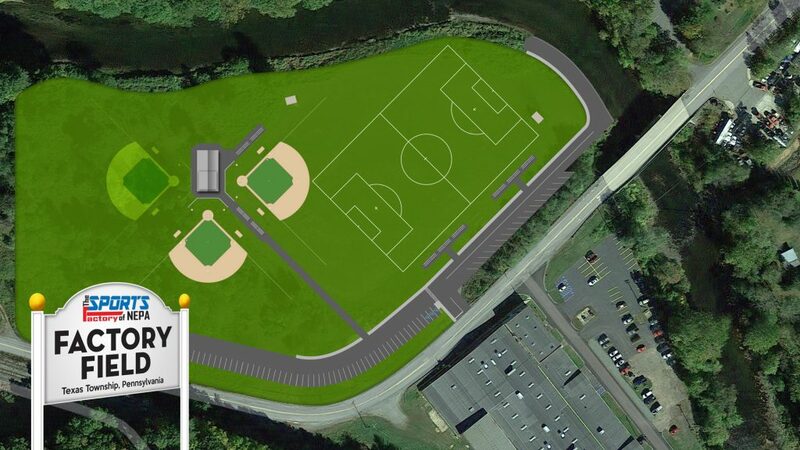 Future plans include the addition of a second youth baseball/softball field, a regulation-sized baseball field, concessions, bathrooms, river access for kayaking and fishing and a parking lot. 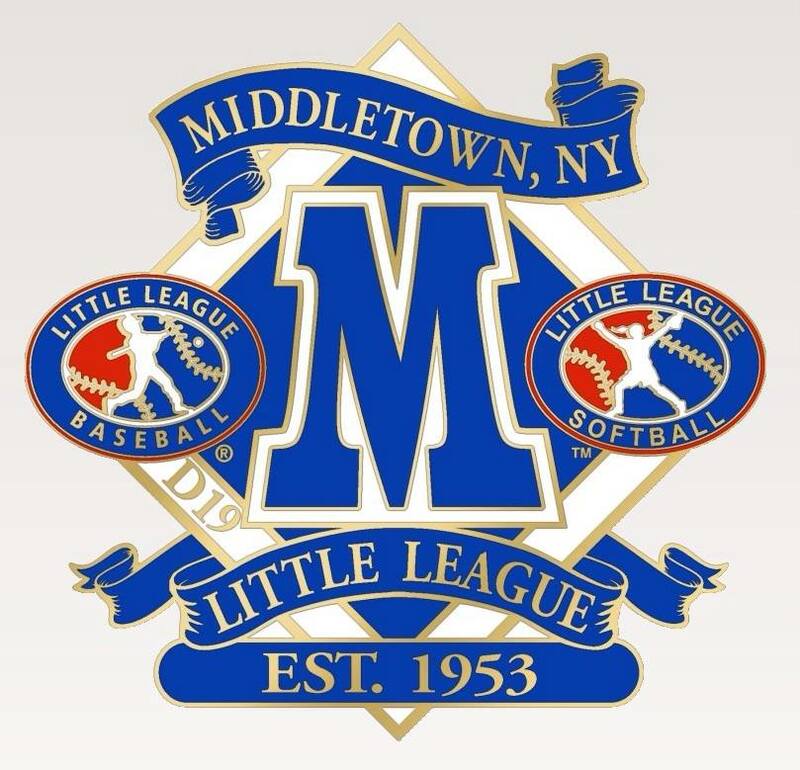 The soon-to-be renovated ball field in White Mills, which has a long, storied baseball and softball history in our community, will also be available for use to all Pro Prospects & Sports Factory of NEPA recreation league & club partners. 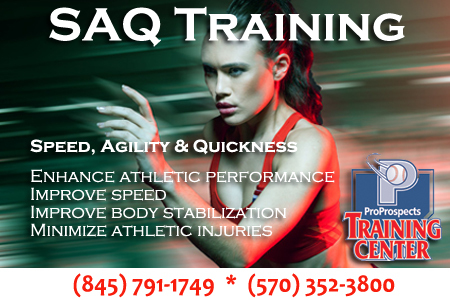 Our son and daughter have been students at the Training Center for over seven years. Steve Pinto put together a seminar on how to manage college recruitment, created a Video highlighting skills, fine tuned our Player Profiles, contacted coaches when requested and guided our children with appropriate responses and courses of action when opportunities arose. 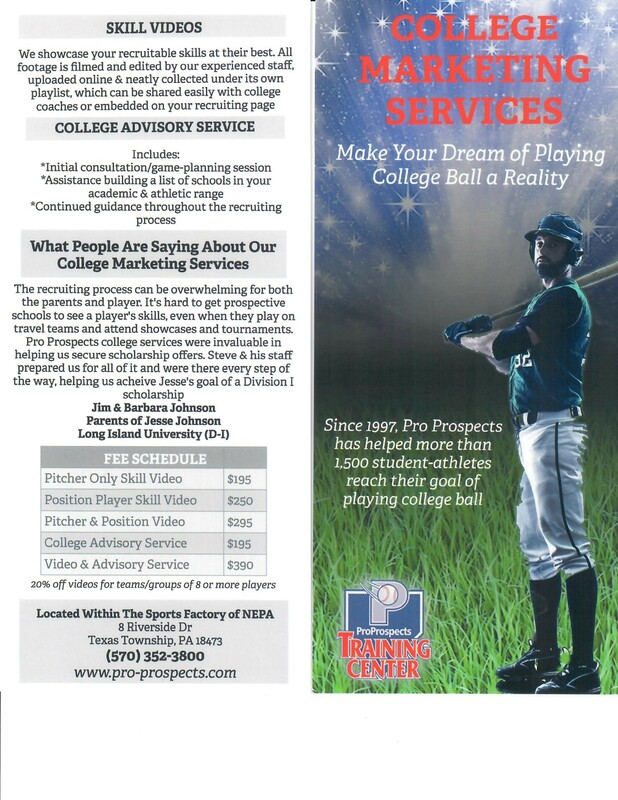 Especially important, is that Steve and his staff remained positive and supportive even when the recruiting response was disappointing. 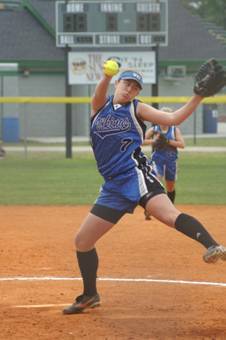 Steve’s best advice was to remind our children that a good education comes first, and playing college baseball or softball was the “whipped cream”. 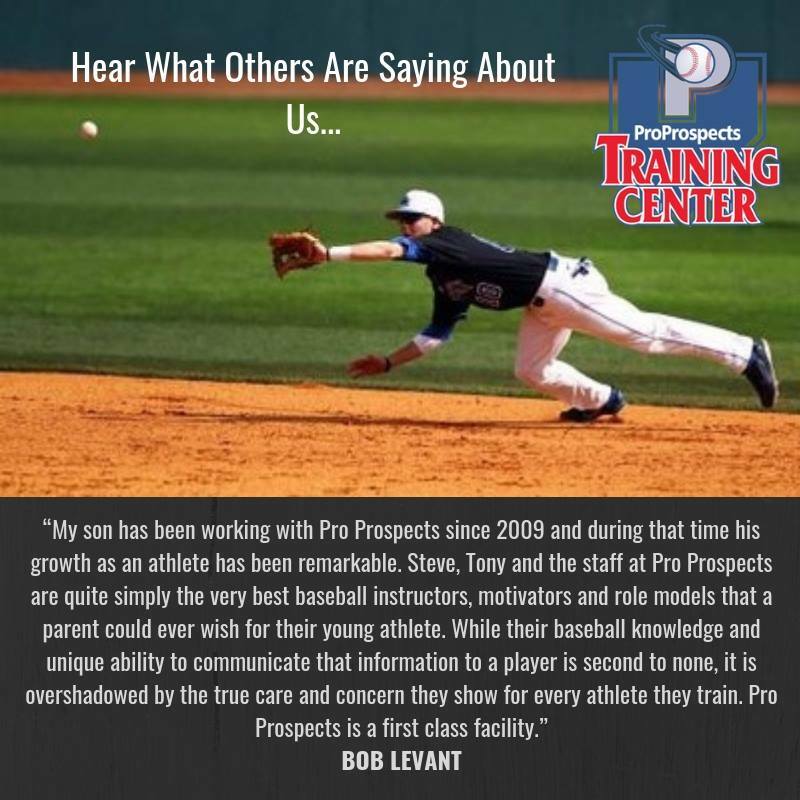 The skills learned at the Pro-Prospects are invaluable. 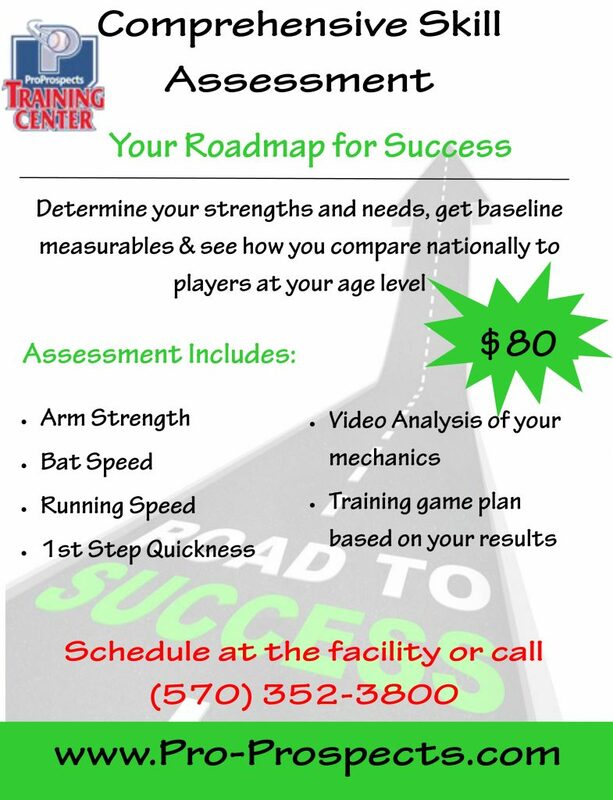 They teach not only correct technique but mental toughness, game situations and the intangible tools needed to evolve into a fine tuned athlete. These are the characteristics that help get players noticed by coaches. 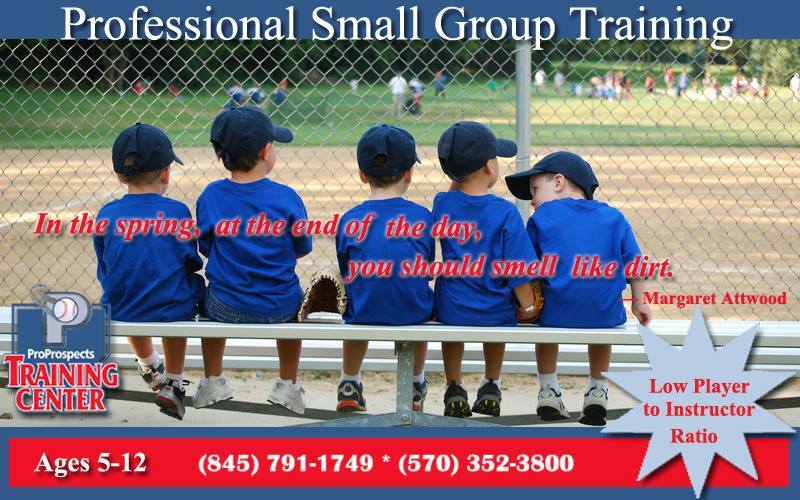 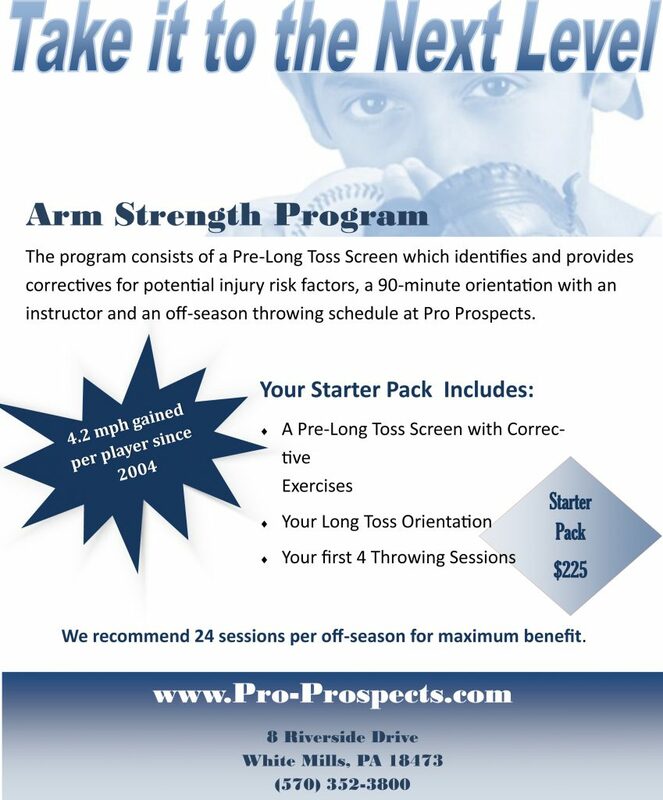 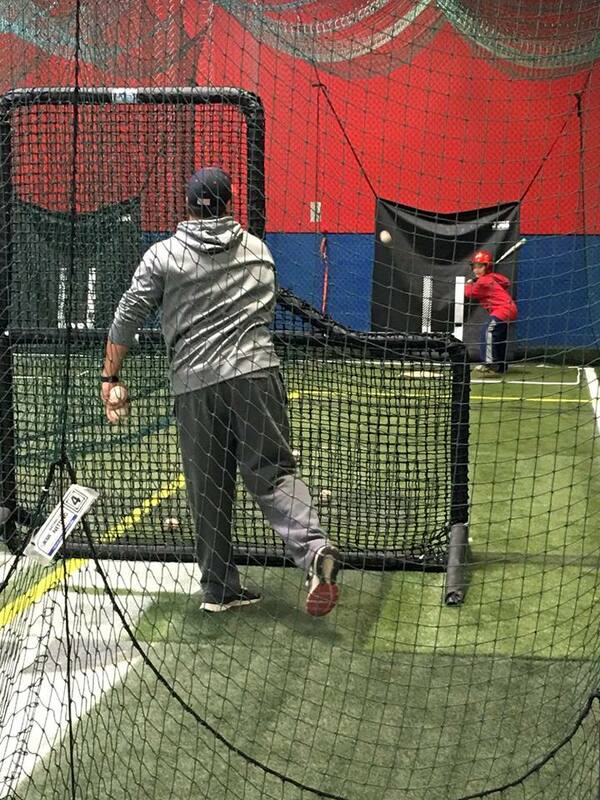 WHITE MILLS, PA–Former Sullivan County Rock Hill resident and owner of the Monticello based Pro Prospects Training Center Steve Pinto has moved up into the big leagues with his opening of the Pro-Prospects Sports Factory of Northeast Pennsylvania at White Mills, Pa. 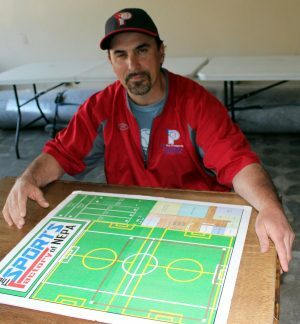 While moving his family to the Northeastern part of Pennsylvania where his wife Paige is a guidance counselor for Wayne Highlands Central School District the opportunity to expand his athletic training center business became a realty when a large building in White Mills popped up on the horizon. 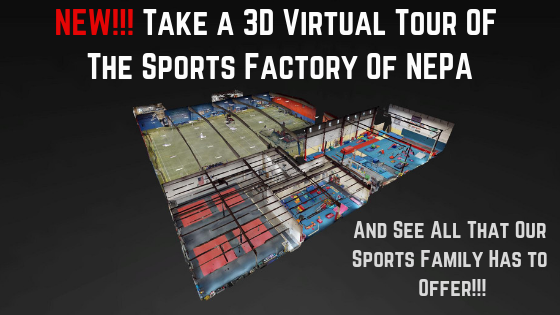 All of this reality became a sports training facility in December of last year in the former Chroma Tube factory building which Pinto transformed into a state-of-the-art 30,000 square foot multi-sport training facility.